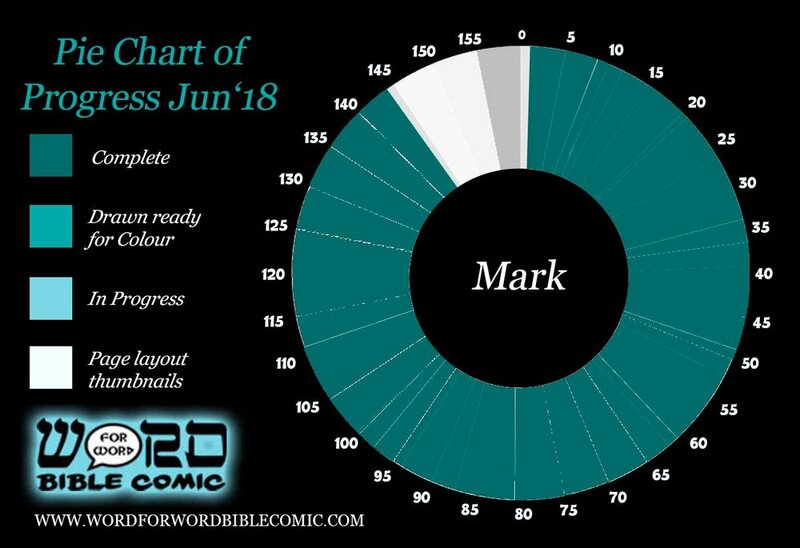 You will see below that we are very close to completing the Gospel of Mark, in July we will be sending out the first copies for the Kickstarter backs as well as the remaining digital PDF instalments. I've sent out the surveys so if you're a backer you'll need to input your address. This summer I will be at lots of events. In just 10 days I'll be at in a field near Swindon 'The Gathering' for Christian menfolk. Then in the school holiday's, we will be at New Wine: United Week 2, and Commission's 'Together at Westpoint'. If you will be at these events please come and say hi, and drag your friends, church and family over to the new stand. Have Your Say: Extra Pages at the Back? In the comic of The book of Judges and Ruth, I included extra pages with notes and sketches on character designs and some historical elements (like we discuss here). I didn't include any in Joshua and wasn't planning to in Mark, but some people have said they really liked these pages, they also add a certain amount of proof regarding the research involved. However, they cost more money to include and I imagine many people won't even read them. One alternative idea is to have one page to show the sort of thing and give a link to an online version for people who are interested. The advantage of this is you can potentially link them to buy other books, sign up to the newsletter etc. The Gospel of Mark is 164 pages, including just the comic and intro pages. The price will be £14.99. If I add pages there will be 16 pages of sketches and go up to 180 pages. In the comments below, I've included a few pages from the Judges sketchbook. I didn't add a progress report last month due to all the boring GDPR stuff, but in the intervening time, we've covered a lot of ground. I have 8 pages of the comic to draw and 144 are complete. We are working our way through checking for errors and then it will be a case of finishing off the few pages that surround the comic (intro etc). Please pray that we finish the book in good time and there are no errors in the printing. 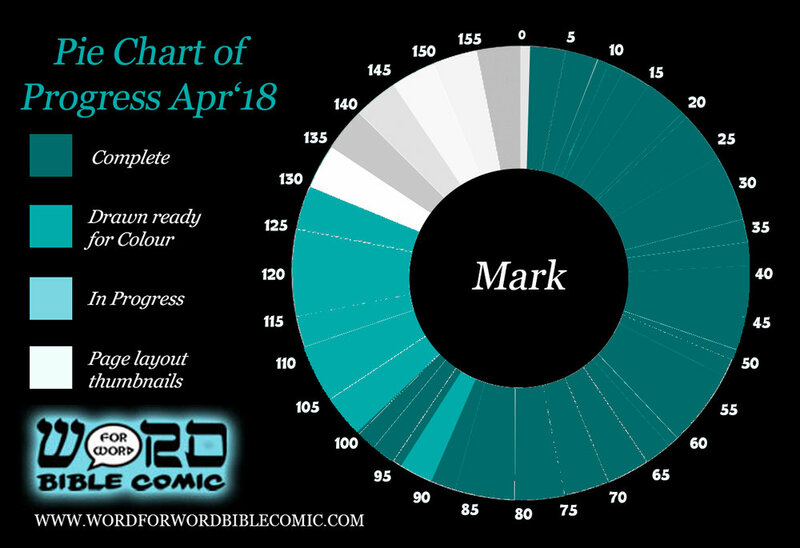 Please pray that the Gospel of Mark will get a lot of media attention at its launch and that many people will ultimately read the Good News for the first time through these graphic novels. Normally I create about a page a day, (that's drawing, inking and lettering). However, I started this page last Thursday and I've just finished it now (Wednesday). I created this little video about the making of the page and some facts about the image while I was making it. Now it waits to haunt the nightmares of the colourists. At the top, we have Peter's house which was drawn from the floorplan of the real site discovered with archaeology. Interesting video I found "What did Yeshua think of the Mishnah? " Doing my research I found this interesting video about how Jesus may have viewed the Mishnah. It's a balanced presentation by a Canadian Messianic Jew and Hebrew teacher Izzy. His views don't necessarily match those of ourselves but I found it very informative...oh yeah, it has slightly annoying inserted memes in this one but if you like this video his others don't have those. When I read comics or watch a movie or TV series, I write a little social media post with my thoughts. With so much great stuff coming out soon (Avengers Infinity War, Westworld, Runaways, Han Solo Movie, Ready Player One etc), I thought I'd flag it so you can come and geek out about it with me. Use these links to connect! I'm getting closer to the end of drawing the pages now. I'm about to draw page 131 and Jesus will be getting handed over to Pilate. Our colourists are going full throttle now too to ensure we get it all finished before the summer holidays begin, and that's when they'll go out to the Kickstarter backers. The official launch and release will be in September. Please pray that we continue to be productive and get this book finished in time. Also, for the ongoing financial provision for the work as we have been blessed so many times by the Lord from your prayers. Please pray that the Gospel of Mark will get a lot of media attention at its launch and that many people will ultimately read the Good News for the first time through these graphic novels. I've just drawn a picture of Jesus as he will be in Revelation 19 riding a white horse coming with his angels and I'm really keen to show you that one, but I'm going to hold off until it is coloured. If you'd like to get to see the new full-colour pages of Mark like this as they are completed you can do so by becoming a patron of this project and giving a small donation of $1 a month or more. You can even get video blogs that are about 30-60 minutes long every two weeks with information about the historical research and the artist development of the comic. Please go to Patreon to find out more and get involved! If you were one of our very special Kickstarter backers for the Gospel of Mark, then keep an eye out for the PDF instalment two, which will be out in the next two weeks. It's more than 20 complete pages the gospel or Mark! Judges first editions are running out! The first 1000 copies of Judges are now starting to run very low. We will be reprinting them, of course, but if you'd like to get the original larger format copy before they disappear please get your orders in straight away! We've got about 7 copies here and there are a few at the distributor's warehouse. We also have about 40 of the special Collector's editions (these are numbered as one of the first 100 prints, they are signed and have a unique hand-drawn a sketch on the inside cover). So if you are a collector or you think this comic will be as big a Harry Potter one day, here's your chance to get one of the limited first editions. We have passed the halfway point with regards to creating the uncoloured pages! Phew! We are currently on target to finish by July, ready for the summer events and sending out the book to Kickstarter backers! The official launch will be in September too. Please pray that we continue to be productive and get this book finished in time and that some opportunities that are still in the air come through. 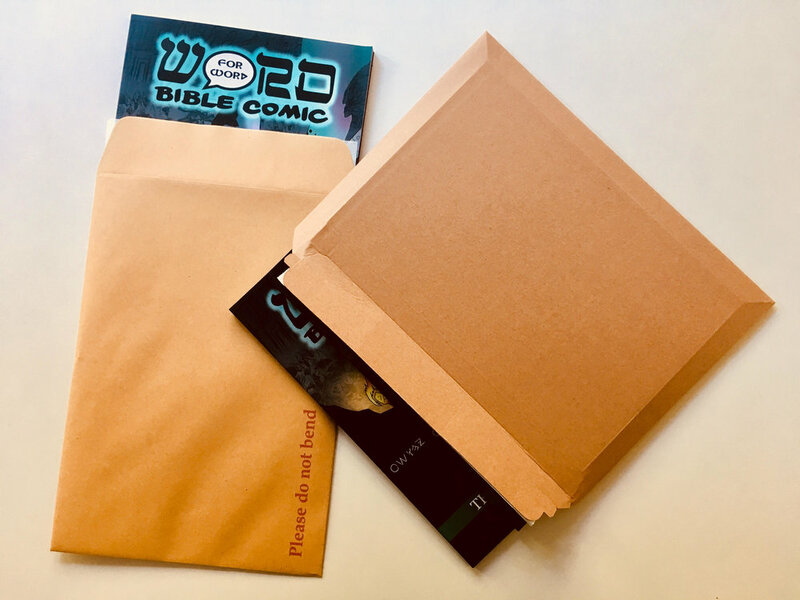 Please pray that the Gospel of Mark will get a lot of media attention at its launch and that many people will ultimately read the Good News for the first time through these graphic novels. We are steadily doing more and more pages. We have had several minors setbacks like my wife's broken foot, a funeral and then several bouts of illness from various members of the family. Hopefully, things will calm down now and we can start catching up. Here's how far we are along so far. Tomorrow I'm off to CRE for the day as a punter, many of you may also be there too, so give me an email if you have a stall or you wanna say hi. Our book will be there on display at the CLC stand too so if you're there with a friend be sure to drag them over an get some. We are beginning to run low on the first edition of the Judges books. I have about 80 here and there are some waiting for distribution, so if you'd like to get hold of these original, larger size, numbered first editions please get those orders in asap! We are preparing the second edition for print now. It will be the smaller size that Joshua and Ruth are, and we will be adjusting the font to allow for the smaller format. 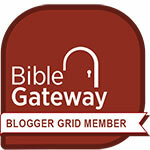 A great gift for family and friends that you are keen to get more into the Bible! We look forward to sending them out to you and if you live far from the UK you may need to get these orders in soon to ensure they'll get there on time. Exciting, right! We have decided to move away from those plastic bubblewrap jiffy bags to a more robust and environmentally friendly option of cardboard. For single books we have the reinforced envelop and for more these great all-card wallets. If you are a praying person please help us pray that we can secure a recent opportunity to arrange USA shop distribution through a large US Christian distributor. I am really confident that this would mean a real boost for the company. Please also pray for our continued health and productivity between now and the end of the Mark project so we can be ready for the summer events next year. More and more of you are getting involved and supporting the Patreon! Thank you! I create videos explaining the pages in depth, including the research, artist choices, character design and more. So aside from supporting our work, you can learn more about the Bible and it's setting and see the pages of Mark as they are finished. The launch has gone really well, bolstered by being featured in Christianity magazine, and our presence at the recent Christian Resources Together event. What would be really helpful is to see some extra reviews on Amazon to helps improve the visibility of the book in searches and confidence of other people to buy! HAVE YOUR SAY: Parables in different time periods? ◦ Old familiar parables in a new light. ◦ More variety and thus more interesting. ◦ Break away from the 1st century. ◦ Help understanding- sometimes a modern setting helps modern reader understand the point. ◦ A hint that Jesus' examples are not limited to his human experience. ◦ A wider variety of places and ethnic people groups can be used. ◦ Too Jarring and Incongruous. ◦ Uneducated people might get confused. ◦ Not the right feel for the "historically accurate" project. ◦ Some people may really hate it/think it's silly. ◦ A foreword in the introduction to the book could be used so people expect it. ◦ The new setting would always support all the points of the original stories. ◦ Though the events are not in the same time period they will themselves be internally historically accurate. ◦ Wicked Tenants: Medieval- noble son has father's heraldry. Today, we are launching the Book of Joshua officially in print and digital formats. The book is now available to buy from our website, available on Amazon, in Christian book shops and the digital version will be available through Kindle and Comixology (Comixology on the 6th). Since the last update, we've had some big blessings and a big set back, see below. Please share this video far and wide! I really need your help getting the word out about this launch. Review on Amazon and Kindle: This one is so important! If you've already read our Book of Joshua that you bought face-to-face or got through Kickstarter then please go to the Amazon/Kindle listing and write a little review (ideally a good one). Having lots of customer reviews helps improve the visibility of the book in searches and confidence of other people to buy! Facebook/G+/Twitter etc: Please post about it, share the video, come and Like, Comment on and Share/RT our posts wherever you can find them on FB, Twitter, Google+, Instagram, Linkedin, YouTube, Tumblr you name it. Especially on the launch day (today) and over this weekend. Here are the links if you are not following them already, you can even like and comment on some older posts to help them get seen too. 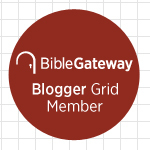 Please Pray :Please pray that this third book will take off, that new people will want to report and blog about it and include them in their radio shows. Please pray we sell lots of copies to help provide funds for the project and make it a success and so that more people will start to read the Bible. Our church has rallied around though and we have a people bringing meals on a rota for the next two weeks and a few people who have taken the boys out so I can do some work. Thankfully, the eldest boy is back at school this Tuesday and the younger is going to start school on the next Monday so they will be at school most of the time which will help. If you are a praying person, please pray for a miraculous recovery. A few years ago, Sian broke her wrist falling off her bike and someone at church prayed for healing and at the review, with the Consultant, a week later told her it was not broken and as he couldn't explain it, he insisted there must have been a misdiagnosis or something. So, please pray. Last weekend we attended our Regional Church gathering called Together at Westpoint, in Devon UK. A hundred or so of you signed up for this mailing list at the time so a big welcome to you! The stall did pretty well selling the books, and I ran a workshop about The Art of Creating Comics. I have a recording and I will be posting it in sections on our YouTube channel. I addition to that we were very blessed by God prompting people to give us financial gifts to support the project and/or us as a family, each one hundreds of pounds. We take this as a real encouragement and thank God for his provision. Patreon off to a great start. Come and join us! Our Patreon page was launched two weeks ago, and there are 11 patrons, together donating over $40/month to help keep us going. If "Patreon" is new to you, put simply it's a way to donate $1/month (or more) to an artist to allow them to continue making art. In exchange, you get rewards! Please consider being a patron and share the link with your friends! Today we have launched the Patreon!